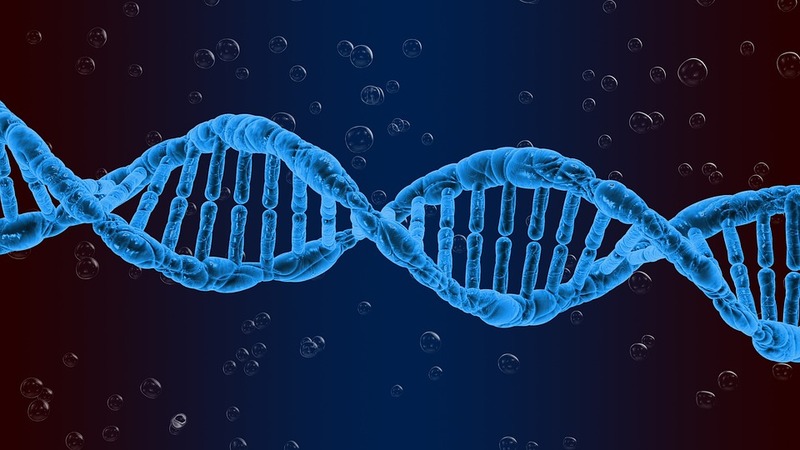 A new study with Project MinE data recently identified new risk regions in the DNA which possibly harbor unidentified ALS genes. By narrowing down the search area to these regions, the chances of finding genes relevant for ALS are increased. According to Rick van der Spek, physician-researcher from UMC Utrecht, these are “very exciting results, which might pave the way for future drug targets”. Aside from collecting Whole Genome Sequencing (WGS) data, Project MinE and its collaborators also gather array-based data. DNA microarray is an older technique which sparsely samples the genome, instead of sequencing all of it. Rick van der Spek: “The human genome contains over 20.000 genes. If we want to find genetic mutations involved in ALS and we pick a random gene and start investigating this, then the chance of us picking the correct gene is very, very small. By far most of the genes do not contribute to ALS.” Using DNA microarray has proven to be very fruitful in the past, identifying the C9orf72 region for example. In this new study, Van der Spek and his colleagues analysed 115,000 individuals, of which over 23,000 patients with ALS. The preliminary results from this array-based analysis identified two, independent, new risk regions which possibly harbor undiscovered ALS genes. The results also replicated previous findings, including TNIP1/GPX3, C9orf72, KIF5A, TBK1, SCFD1, SARM1, UNC13A, and C21orf2. These results provide a significant leap forward and highlight the fact that analysis of array-based data in ALS has matured enough to be able to identify rare risk regions in the DNA. “We do have to replicate these new results still, which is a massive undertaking in and of itself, but we are very hopeful based on the results so far. Increasing the amount of DNA profiles further in the future will undoubtedly reveal even more of the difficult genetic architecture of ALS.” Van der Spek said, stressing the importance of financial donations to make this possible. In 2009, researchers from UMC Utrecht, in collaboration with many international colleagues, identified a small region on chromosome 9 that was associated to ALS using array-based data. A larger region on this chromosome that included 800 genes was already suspected for many years to harbor an ALS gene, but researchers had failed to find the gene. By identifying this much smaller region in 2009, the search space was reduced enormously, making it possible for other researchers to investigate that region for a mutation that is actually causing ALS. The mutation, a ‘GGGGCC repeat expansion’ in C9orf72, was then found within 2 years in 2011. A drug trial that specifically targets this repeat expansion will be starting soon. Project MinE’s hope is there will be trials like this for all mutations involved in ALS someday.